Design your dream tiled stove. For Austria now also with all models of the air-independent* AURA series. August is over and with it the transition period is just around the corner. Actually, it’s too hot and too cool not to. So: the perfect tiled stove time! We at EDER have been working hard on this over the summer so that we can launch the tiled stove configurator in a new look with models independent of room air at the start of the season. 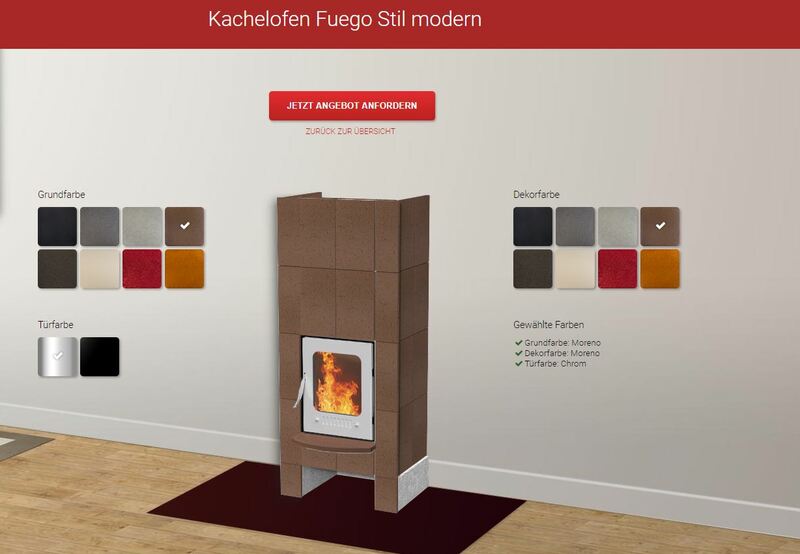 With our tiled stove configurator everyone can let their playful vein run free and design their own dream tiled stove on design-kachelofen.at. You can choose from all our models of the Fuego and Fuego Style lines, which are now also available as Fuego Aura. You can design them according to your wishes and tastes in all available variations with cultivation and tiles. The use is very simple: You choose your desired model on the start page, can choose the basic and decorative colour, the corresponding door and ventilation type and then send us an e-mail with your contact data so that we can make you an appropriate offer. *A tiled stove in room air-independent design is necessary if you live in a low-energy or passive house, or if your living unit is equipped with living space ventilation or an extractor hood or has recently been thermally renovated.